A new record was broken last Friday when a Parisian used his directional indicator to signal to other road users his intention to turn. The incredible feat took place during a 27-minute journey between the busy area of République in the centre of Paris and the 17th arrondissement in the north-west. The record was smashed thanks to a triple execution of the manoeuvre on three separate occasions, all of which are officially counted even though two were not made in conjunction with a turn in the corresponding direction. One in fact, was made accidentally whilst using his klaxon to helpfully inform the driver unloading a van ahead, that he was unloading. 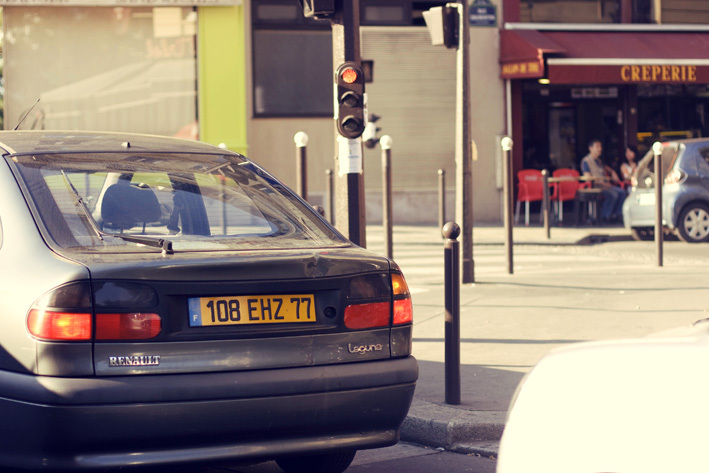 An interview with the new record holder highlights how turn signals remain a relatively unfamiliar feature to drivers in the French capital. “I was in the traffic jam for more than three minutes when suddenly I remembered that the stick next to my steering wheel is connected to a cable which leads to some lights at both the front and the rear of my vehicle to enable other people in the street to know that I will turn. It is not something we have the habit to do in Paris, but I was bored so I decided to try it for the first time”, explains Olivier Déchaussette, 27, from Batignolles. He is the first of a new generation of drivers correctly using turn signals, hazard lights and rear view mirrors. Despite the new trend however, last week saw the number of accidents involving cyclists, pushchairs and old people reach an all-time high. In light of this, safety enthusiasts have launched a campaign to raise awareness of indicators and their benefits to city life. There are even rumours that signalling will become an official part of Île-de-France driving examinations. A terrifying drain on car battery and unequivocal nonchalance are among key factors initially reported to inhibit correct signalling. Many Parisians took to the streets today in protest, expressing outrage at the campaign and asserting their right to swerve about the city without warning. This entry was posted on Sunday, October 2nd, 2011 at 11:34	and tagged with Automotive lighting, don't like, driving, France, indicating, news, paris, people who don't indicate, Rear-view mirror, record, spoof and posted in French Connection, humor, J'aime pas. You can follow any responses to this entry through the RSS 2.0 feed. I’m confused as to how I should vote… Am I lking your blog or liking people who don’t indicate…? Hehe! Thank you for all your contribewshons! I think you’ve figured it out now, but you vote for the (hard-hitting) issues, not for the post. If you like the post itself you can ‘like it’ or ‘share it’ or comment, ta-da!